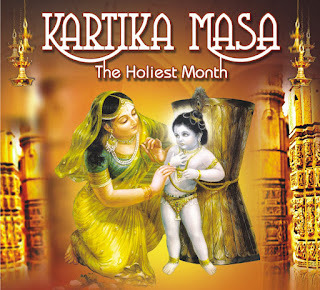 Kartik month is very auspicious month in Hindu religion. It is the last month of Chaturmash. The lord element becomes stronger from this month. In this month, one can do wealth and religion remedies. It is extremely beneficial to plant basil and its marriage. It is beneficial to donate dipak and donation. In this month, it is advisable to have oily food and dry fruits. On should eat those foods, which are hot and gives energy for long time. However, it is advisable to avoid lentil in Kartik month. It is also beneficial to avoid sleep in afternoon. Wealth: Lord Shri Hari likes Kartik month. Therefore, goddess Lakshmi also likes it. In this month, Shri Vishnu wake up from the sleep and world gets happiness and mercy. In this month, goddess Lakshmi jaunt on earth. She gives immense wealth. To get mercy of goddess Lakshmi, people celebrate dhan trayodashi, dipavali and gopashtmi. One can get immense wealth and get rid of debt by doing special worship. In Kartik month, to get mercy of goddess Lakshmi people celebrate Diwali. However, one can do remedy everyday to get mercy of goddess Lakshmi. Daily, worship lord Vishnu and Lakshmi at night. Wear pink or shiny clothes while worshiping. Happiness: It is extremely beneficial to worship basil for happiness in domestic and marital life. It is also beneficial to plant and worship basil plant. Take basil tiller and plant it on any day in Kartik month. Daily, light ghee’s or sesame oil lamp under basil plant in evening. Worship for happiness in domestic and marital life. Good Luck: It is beneficial to make hidden donation. This avoids problems as well as trouble.